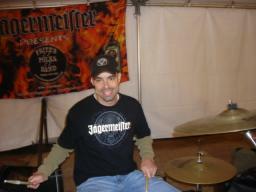 Rick drums along during FPB's gig at the Norwich Pumpkin Festival on October 26, 2007. 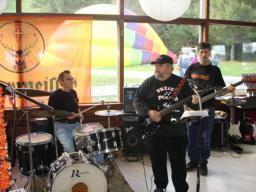 Frank is pictured here at the start of FPB's second set at the Norwich Pumpkin Festival in Norwich, NY. 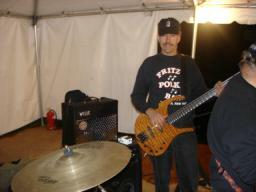 Fritz and Fred are shown here prior to FPB's first set at the Norwich Pumpkin Festival on October 26, 2007. Although the temperature was only in the 40's, Fred saw no reason to wear a shirt with sleeves! 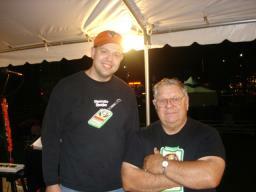 Gabe with his Parker on October 26, 2007 in Norwich, NY. 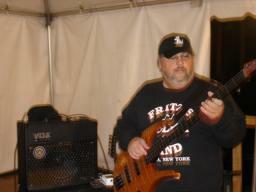 As Fritz and George goof around, Gabe takes a more serious approach during FPB's gig on October 21, 2007 in Solsville, NY. 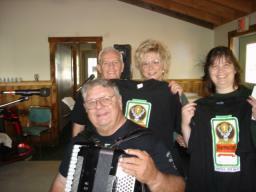 Fred and Tom are all smiles as those pose with some lovely ladies during the Oktoberfest at Hotel Solsville on October 21st. 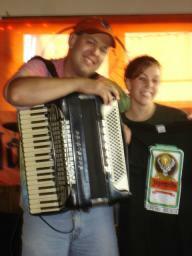 Fritz is shown here with Sam on October 21st during Oktoberfest at Hotel Solsville. 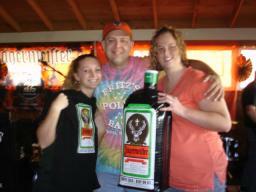 Fritz happily poses with Mary (L)and Ashley (R) during FPB's gig in Solsville, NY on October 21st. 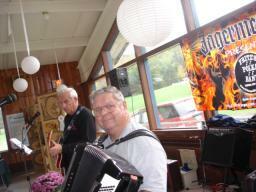 Tom, Fred, and Fritz are pictured here during FPB's gig on October 21st at the Oktoberfest at Hotel Solsville. 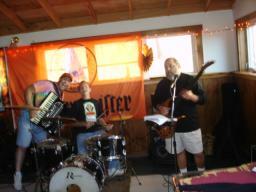 Tom and Fred are pictured here during FPB's third set on October 14, 2007 during the Oktoberfest at Snow Ridge Ski Resort. 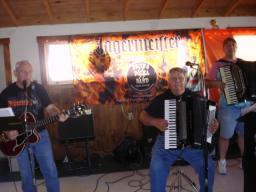 George, Gabe, and Frank are pictured here in action during FPB's gig at the Snow Ridge Ski Resort Oktoberfest on October 14th. 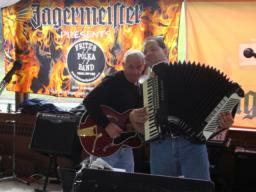 Tom and Fritz "ham it up" for the camera on October 14th, in Turin, NY. 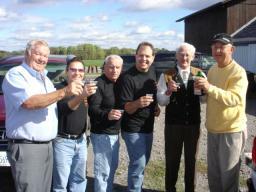 George, Tom, and Fritz toast some Jagermeister with their good friends (L-R), Joe, Harold, and Charlie, prior to FPB's second set on October 14, 2007 at the Snow Ridge Ski Resort. 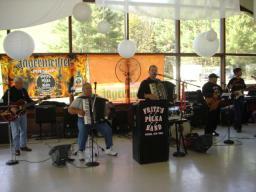 FPB in action on October 14th in Turin, NY at the Snow Ridge Ski Resort Oktoberfest. 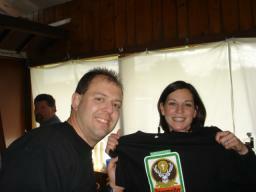 Fritz presents an FPB/Jager t-shirt to Dorothy, prior to the start of the Oktoberfest at Snow Ridge Ski Resort on October 14th.